You can numerically set the white balance’s color temperature. Turn the <5> dial to select [P]. 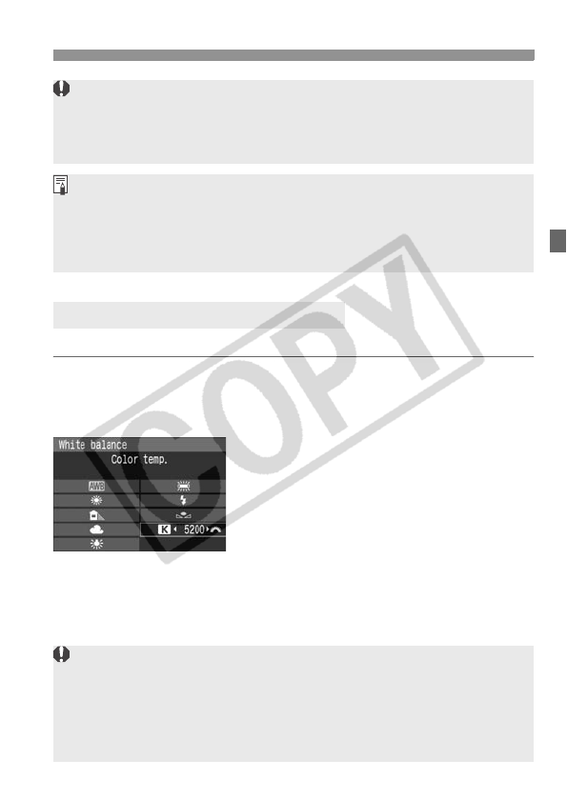 [Monochrome] (p.62), it cannot be selected in step 3.
produce a more accurate white balance. personal white balance will be erased. balance correction (magenta or green) as necessary. reading and the camera’s color temperature reading.